As part of my Ties to the Land pinhole photography project I have created a downloadable ebook to share the progress of the pinhole project to date. This downloadable ebook contains the first 24 pinhole photographs from the project. Whilst not a substitute for a proper book, it does give a strong sense of the project (without the cost of a coffee table book). I do have an aspiration to create a book of this pinhole photography project at some point in the next year or so and it is your feedback that will help me decide if I try and make that reality. The ebook looks best when viewed with Adobe Reader. This PDF can also be added to you library in iTunes for use on your iPad device. Please note that the file is over 10Mb in size. In return for downloading Ties to the Land, all that I ask is that you share some of the love and let others know about this project, by clicking on one of the social media sharing links over on the left.. 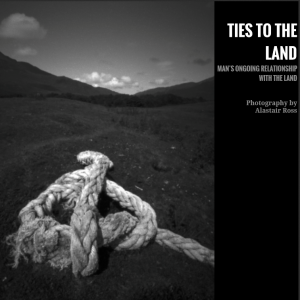 I hope you enjoy viewing my ebook of “Ties to the Land” and I would love your feedback about it.